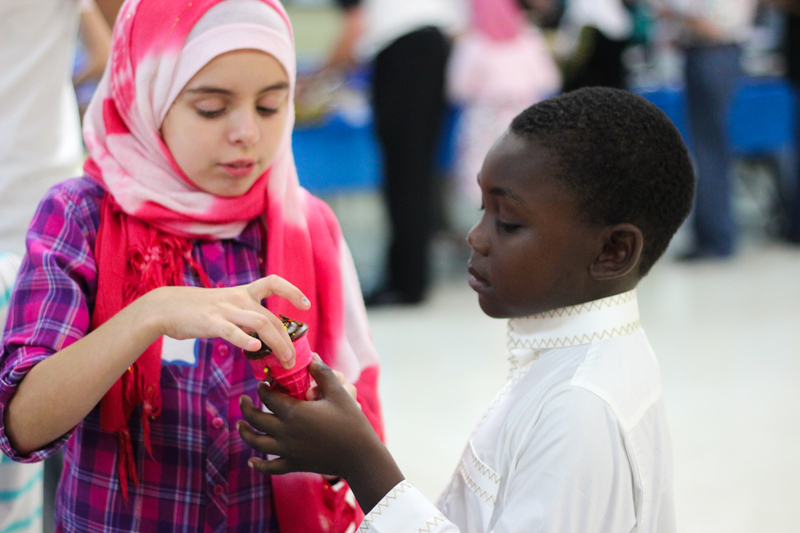 During the Maghrib prayer, these two children of different origin took their time choosing a cupcake together. This sharing occurred at an Interfaith Iftar where Muslims invited Non-Muslims to partake in breaking of Iftar with them. Sharing Iftar goodies together breaks boundaries! Lovely photo – cheers me up on the “the whole thing.” Keep up the good work.